As the Greek American author and businesswoman Ariana Huffington once wrote in her book, Thrive: "If you take care of your mind, you take care of the world." Everyday the world tries to convince us that a million and one things are more important than our own wellbeing, and no doubt we all spend day after day trying to address each and every problem thrown at us. But, at some point, as happened with Arianna, we run out of fuel - and our busy lives risk having a seriously negative impact on our mental and physical health. This week on Global Wellness Day - 10th June - we are reminding people to pause, take a break, re-evaluate and look after themselves. You may not know it, but for hundreds of years many people, including royalty, trekked for miles to reach our village - for its health benefits. Even in ancient times it was known as a type of "wellness resort" because of its sulphur springs, which are said to have healing properties. The ancient Kings of Soli would come to bathe in the natural springs by the river Setrachos after a busy hunting trip, and pilgrims would come to worship at a temple dedicated to Aesclipious, the ancient god of healing. It is said that the temple was built on the same spot where the Lampadistis Monastery stands today, and it was there that worshippers would take a series of cleansing baths, accompanied by a cleansing diet which lasted several days – the very first wellness retreat! Our Myrianthousa Spa is a direct descendent of this local, ancient tradition. Today you can book yourself in for a number of treatments enriched with our famous "theouha" water from the local springs, and on Global Wellness Day every treatment has a 20% discount. You can try a Rocks of Troodos massage, with hot stones; a thermal mud wrap followed by time in a private whirlpool enriched with theouha water; and you can feel like royalty with a more vigorous hydromassage bath ritual inspired by the Kings of Soli themselves. Don't wait for a wake up call, like Arianna Huffington, who collapsed from exhaustion before changing her lifestyle. 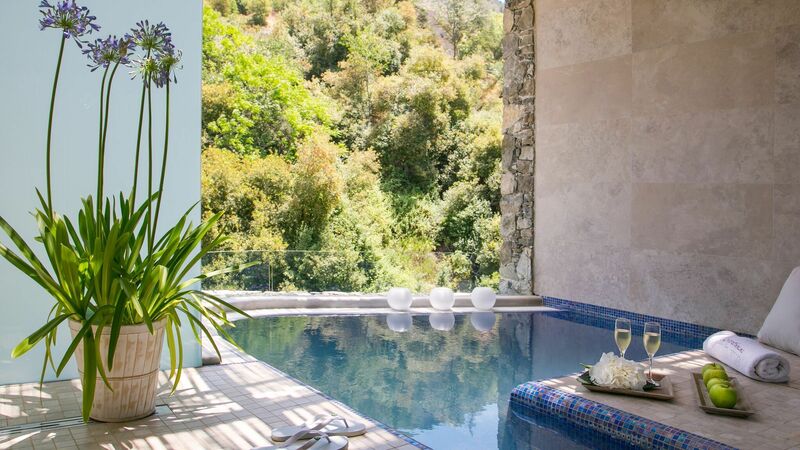 Take a break and celebrate Global Wellness Day with us at Casale in the middle of the magnificent Troodos mountains and the Cypriot countryside. Our chef has even designed a special "wellness" menu with a complimentary drink for guests and all week we're organising group bike rides & nature walks. Remember - one day can change your whole life. So slow down, switch off the phone, and make this the day to focus on yourself and prioritise your wellbeing.